Doctors have a clearer picture than ever before of how much radiation reaches sensitive tissues during routine X-rays and similar imaging, thanks to sophisticated models of the human body being developed at the University of Florida. 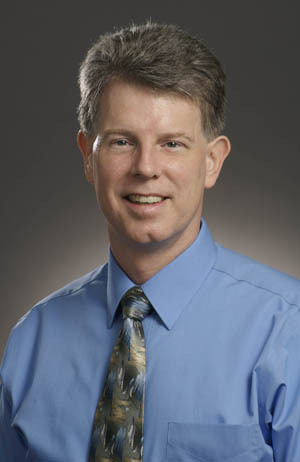 “We’re building a rich library of computer simulation tools and 3-D patient models that will make dose estimates much more accurate and patient-specific,” said Wesley E. Bolch, a professor in the UF departments of nuclear and radiological engineering and biomedical engineering, and a member of the UF Shands Cancer Center. In the March 5 issue of Physics in Medicine and Biology, Bolch and researchers in his lab discuss how they used three-dimensional microCT imaging to describe cartilage, bone marrow and two types of mineral bone in 20 different skeletal sites from two newborns. It is the second in a series of planned articles that will describe variations in tissue and bone that can affect how much radiation is absorbed by the body. They discovered that children have a greater percentage of total mineral bone in direct contact with sensitive bone marrow than do adults. This has implications for radiation treatments and types of chemotherapy used to treat cancer patients, especially therapies targeting pediatric bone cancers. In contrast to existing models, the study also found that a large amount of the electron and beta particle energy once believed to stay contained within the bone marrow of children actually escapes to surrounding tissue, said Deanna Pafundi, a UF researcher and lead author of the paper, now a research fellow at the Mayo Clinic in Rochester, Minn. This finding is being used in existing UF research calculating the impact of radiation to the skeletal surrounding tissues, she said. Radiation epidemiologists can use the revised model to look back in time, estimating doses of radiation associated with leukemia risk, Bolch said. He pointed to the case of unusually high rates of leukemia among a Russian population exposed to river discharges of bone-seeking radionuclides during the Soviet’s nuclear weapons program in the 1950s. UF’s newborn skeletal model suggests that radiation doses to newborn bone marrow have been overestimated by existing clinical skeletal models. Most current estimates of bone marrow radiation dose are obtained from two-dimensional images acquired from seven skeletal sites in a 44-year-old adult male during the late 1960s, Bolch said. UF’s current work seeks to replace these widely used estimates from the University of Leeds by using three-dimensional imaging and extending the work to the pediatric and prenatal skeleton. The work will illustrate how bone marrow radiation dose can vary with patient size, whether a patient has osteoporosis, and marrow health. “Wes Bolch is doing research that will give clinicians the tools to reduce the level of patients’ radiation exposure. It’s very important work,” said George Xu, a professor in the department of mechanical, aerospace and nuclear engineering at Rensselaer Polytechnic Institute in Troy, N.Y. The models are being created at a time when the medical community is sounding the alarm about the potential for harm from excessive radiation exposure. According to the National Council on Radiation Protection and Measurements, the average annual radiation exposure in the United States increased about 75 percent between 1982 and 2006. During that time, the proportion of exposure due to medical interventions rose from 15 percent to 48 percent. “The current philosophy is that there is a small but perceptible risk of cancer with every radiation exposure. Consequently, you want to maximize the dose delivered to the tumor in radiation therapy, while minimizing the dose and thus additional cancer risk to surrounding healthy tissues,” Bolch said. Children are at particular risk from radiation exposure, Bolch said, as the carcinogenic effects of radiation have more time to develop in children than in adults. In response to these concerns, professionals involved in pediatric imaging have launched a campaign, dubbed Image Gently, to highlight opportunities to lower radiation dosing when imaging children. “The risk in using ionizing radiation for both therapy and imaging is never going to be zero, but it can be reduced through proper guidelines and patient modeling of these procedures,” Bolch said.